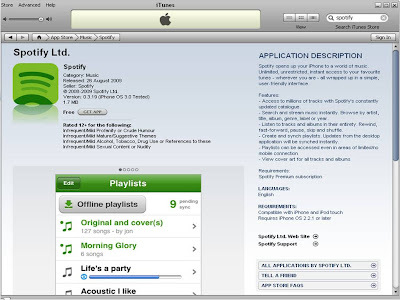 The Spotify Application Description states: "Spotify opens up your iPhone to a world of music. Unlimited, unrestricted, instant access to your favourite tunes - wherever you are - all wrapped up in a simple, user-friendly interface." - View cover art for all tracks and albums"